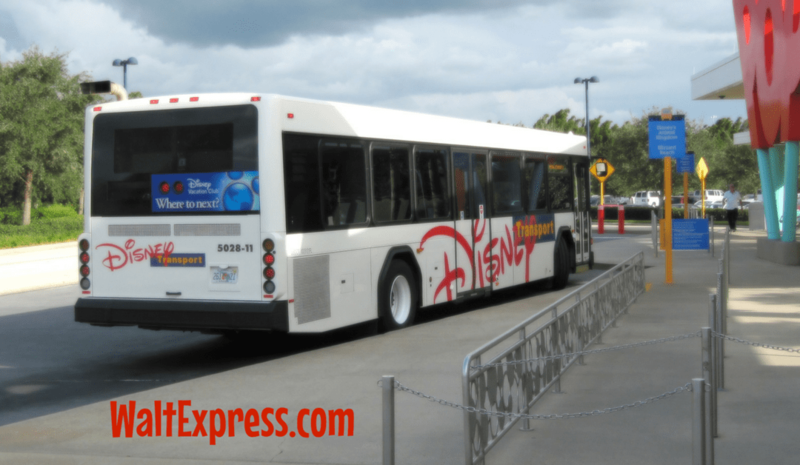 NEW Express Transportation Explained: A Disney World Review we will learn all about this new service only available for Walt Disney World park hopping guests. Avoid standing in the Check Bags Here line again while getting to enjoy going from park to park using the park hopper pass! Ready to hop on the Express Transportation? Here we go! Let’s clear up the biggest confusion about this new service. Express Transportation is NOT Disney’s Magical Express. Magical Express is the name for the complimentary transportation to/from the airport for select WDW resort guests. It is not the same as Express Transportation. 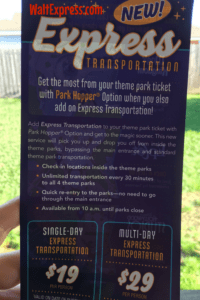 Express Transportation is an add-on option for guests who have Park Hopper tickets. It is not free! Currently the service costs $19 per day or you can purchase the multi-day option for $29. The service allows guests to get on a bus at one Disney park be delivered directly to a different Disney park without having to enter/exit through the main entrances. Once you enter your first park of the day and go through security and bag check, you won’t have to do it again that day. This method shaves quite a few minutes off of the trip, allowing you to get into the parks quicker. 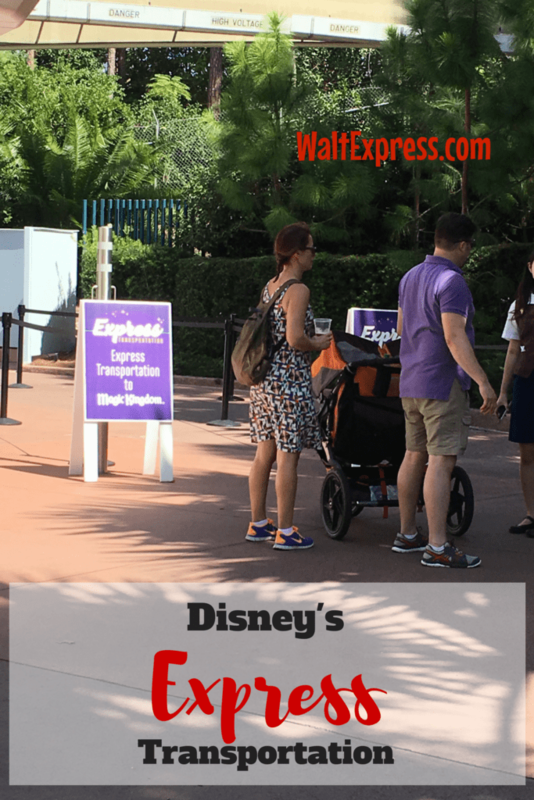 If you have a tight schedule for reservations and Fast Passes, this might just save your day. It saved ours! The secret to this “Disney magic” is it’s not magical. It’s just practical. The buses will pick you up from a designated location inside each of the 4 main parks. Once you board the bus, it will drive you through the elusive Disney backstage area to get you to one of the other parks. Since you never “leave” the parks, there is no security breach as you are always in the presence of a cast member. The buses use the roads connecting the parks to employee parking lots, truck delivery areas and construction maintenance. Keep this in mind should you decide to use this service. It’s great for adults but I would not take the kids, especially knowing you could see a half-dressed Mickey Mouse leaving work. Is Express Transportation For Me? On my last trip, my sister and I needed to hop from Hollywood Studios to Epcot and back again for dining reservations and Fast passes. We chose to use the Express Transportation because we would have lost valuable time using the main entrance buses. 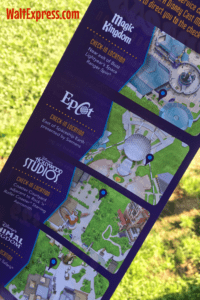 We simply used the map to find the location in Hollywood Studios (right next to Rock ‘n’ Roller Coaster). The cast member took our payment (remember this isn’t free!) and explained how to navigate the system. The buses leave at certain times, depending on which park they are assigned. For example, Magic Kingdom buses leave on the hour and half hour. If you are trying to get between parks quickly or simply don’t want to mess with going through security at more than one park, I highly recommend this service. What do you think? Is this something you and your family might find useful? Is it worth the price for convenience? Let us know what you think! Leave a comment below or hop on over to our Facebook page, Disney Express Lane to share your thoughts and so much more! Brandalyn is a wife, Mom of adult twins. She and her husband, Larry are both lifelong residents of New Orleans, LA and when she's not visiting Disney Parks, she's watching ABC’s “Once Upon A Time”. While she tends to favor the darker side of Disney and loves all of the villains (Maleficent is her favorite), she relates mostly to Belle, as her favorite Disney princess (and she often thinks of her husband as the Beast). Walt Disney World in Florida is her “happy place” and she once dreamed of getting a job there as a princess. For now, she just contents herself with “pretending” and writing guest posts for Walt Express.